← What and whom do we really depend upon? This entry was posted in Basic Concepts and tagged exchange, irving fisher, money, money power, Riegel. Bookmark the permalink. “All the perplexities, confusion and distress in America arise, not from defects in their Constitution or Confederation, not from want of honor or virtue, so much as from the downright ignorance of the nature of coin, credit and circulation”. Riegel in his day said that this was still the case and even 50+ years after that it still is to this day true. This is why we’re here, so we ask now who will listen to Riegel and Tom Greco? Interesting to see him using the term bi-lateral. I believe the term “multi-lateral currency” or “multi-lateral credit issuance” is the most desirable term for what we are talking about, superior to the term “mutual credit” which I personally find to be too vague; our terminology I believe helps determine the extent to which our ideas will become known and, as mentioned, *very few* truly do understand money. The term I propose can also be contrasted to the terms “uni-lateral currency” and “uni-lateral credit issuance” which in fact are what bankers practice. Who gave them exclusive right to issue currency? The use of the terms I propose helps stimulate people to reflect upon currency issuance which, as I see it, is the fundamental blind spot in why people do not understand money. “You need no political laws to liberate your power for prosperity and peace; you are the master of your fate by natural law, if you but discover that law.” It is true Riegel found and presented the law of Money. So a “true money system” is forthcoming founded on his discoveries. This “true money system” which Riegel envisioned also will of necessity adhere to the “natural laws of money” as he defined them elsewhere as he discovered them and they are declared in his writings. Chapter 2 of Flight From Inflation Riegel says. “It tests the imagination to visualize the blessings that await mankind once the balance wheel is no longer disturbed by the eccentric of primitive monetary concepts. *E.C. Riegel, Irving Fisher’s World Authorities on the Meaning of Money. New York: Empire Books, 1935. 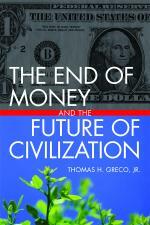 “Let us now formulate a definition of money that we can refer to as we consider the workings of monetary systems. Only by turning our backs on the muddle of past monetary economics can we fully understand the subject of money. We must reject such irrelevancies as metallic and other standards, managed currency, bullion and specie redemption, quantity theories, legal tender, and other issues, which have consumed endless hours of debate. Let us simply apply our common sense to the rationalization of the subject of money. Error has labyrinths; truth is an obelisk. g. Whose Issue Conforms to the Customs of a Convention of Participants in the Monetary System. A receipt for value implies an exchange. Hence, money springs out of exchange and not vice-versa. It cannot be created by political statute nor by any action that is independent of trade. The value unit may be the equivalent of any measure of any commodity at the time the unit is adopted. Thereafter the value unit must be divorced from identity with the commodity selected since, under the law of supply and demand, the value content of all commodities is constantly changing. The selection of amount, commodity and time serve merely to provide a reference point for the value unit, i.e., an initial value. Thus a new monetary unit might be established by making it par with an existing unit, but its parity at launching would not imply continued parity, inasmuch as the values of the two units would thereafter depend upon the monetary policies of their respective administrations. Transferability is of the essence. Hence, there can be no promise, in the ordinary sense of the word, involved in money, for if the fidelity of a monetary instrument depended upon the credibility of a given promisor, its transferability might be severely limited. Monetary credit must be a social credit, backed by all participants in the exchange system but identified with none. This implies stability of the unit, which is necessary for a viable monetary system. There is no way to assure the holder of money that he will receive a value at the time he buys equivalent to the value he gave at the time he sold, other than by free competition. Only under free competition can the requirements of trade equitably regulate the value of money. Only as an active bidder for money under competitive exchange can the issuer of money justify his issue power. He who would create money to buy goods or services must be prepared to produce goods or services with which to buy money. Since personal enterprisers are dependent upon reciprocal buying and selling, it may be seen that they are compelled, by self-interest, to be redeemers of money as well as issuers. It should readily be seen that governments are not under such necessity, since they have the taxing power. Such services as they render are not subjected to the choice and evaluation inherent in free trade. Hence governments are not qualified to issue money. g) Whose Issue Conforms to the Customs of a Convention of the Participants in the Monetary System. The rules and regulations prescribed in the convention of the participants must be honored, to assure fidelity of issue. This implies a formally structured monetary system and authority that establishes the monetary unit, prescribes the issuing process, its limits, the implements to be used, and such other mutually acceptable rules as will give dependability to the unit and to the system.